Home » Tutorials » Why is Heartwood Darker in Color than Sapwood? The sapwood and heartwood are both found in the xylem part of the tree. Let’s look at what makes heartwood darker in color than sapwood. There are several reasons. 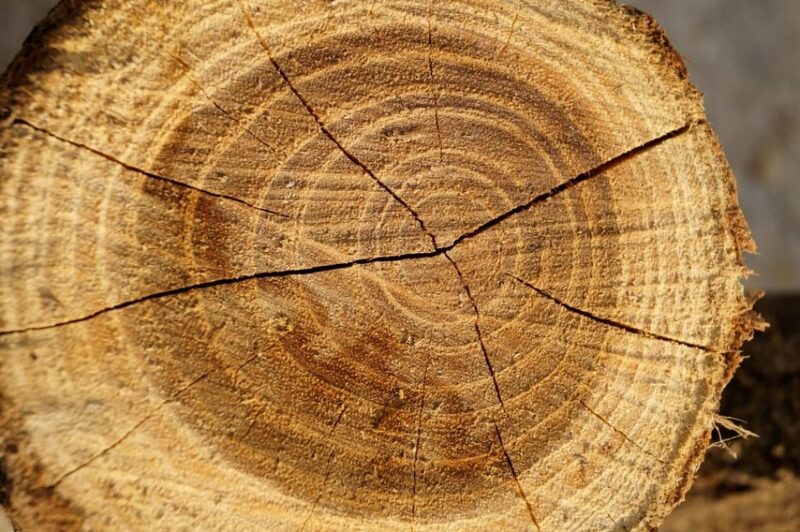 When a tree is cut down, the rings of the tree become evident. Those rings have two colors to them. The sapwood, otherwise called alburnum, is the outer ring of the wood. This is the newest layer. It’s the working and living part of the tree where nutrients, water and minerals pass through to reach the leaves. As new layers of sapwood appear, the older rings turn into the heartwood. This is also called duramen. This layer loses its function of transportation but isn’t useless. This strong layer of wood provides the tree with needed support and structure. It’s easy to tell the two apart because heartwood is dark and the inner part of the tree while the sapwood is light and the outer part of the tree. When the sapwood makes its way into the heartwood, it no longer transports those essential needs to the tree. This includes sap, water, minerals and nutrients. When this process ceases, the organic materials fill up inside the cell walls. This creates a chemical reaction which causes the heartwood to darken in appearance. This also allows the wood to become stronger and harder than the sapwood. Because of the high water content, sapwood is also a paler color. Heartwood is without this water leading to its darker hue. High moisture is essential to the health of a living tree. That doesn’t mean that it’s ideal for woodworking. Most woodworkers agree that wood with high moisture levels is difficult to manipulate. That’s because it isn’t stable and it shrinks. The lower the water content, the better it is to work with. That’s why a majority of woodworkers prefer to use a hardwood versus sapwood. Even when using a hardwood, it is normal to process the wood in an effort to make it more stable. Both sapwood and hardwood can be stabilized to make them easier to work with. This process creates a durable and strong wood. Heartwood inside of a living tree offers support and structure to the tree. Because it is strong enough to support a tree, it is also quite durable when dealing with your woodworking projects. This is a more durable option than sapwood. Is all Heartwood Darker than Sapwood? Sometimes, we look at a piece of heartwood and assume it is darker than sapwood based on the color of the two kinds of wood. There are times when this isn’t true. Some trees consist of light-colored heartwood like the Cottonwood, Basswood and Fir trees. This is also the case with a majority of Spruce trees. Another time when you might find darker sapwood is when the tree has been injured by fungus. The third reason is related to the size of the different elements. So, the easy answer is that no, all heartwood isn’t darker than sapwood, even though it normally is. Here are some of our best tips when you work with wood. 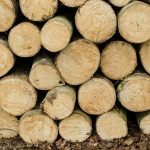 If you plan to cut down a tree for wood, there are some common safety procedures you’ll need to follow. These are valid whether you use a saw, ax or chainsaw. Remember that you are working with sharp tools that can easily injure. Wear protective gear like gloves which will give you a better grip on the tool. Wear protective goggles to keep the debris and dust from entering your eyes. This process is when wood is injected with a resin to stabilize and harden the wood. Any type of wood can be stabilized as long as the moisture levels aren’t too high. With stability, you’ll have a more durable cut that is easier to achieve. It will also be easier when you sand, turn and shape the wood. In addition, the material is less likely to have warping or cracks. When using the wrong tools, your work is harder and longer. Not only that, but you put yourself at risk for injury. For example, if you use a dull tool the work takes longer, the integrity of the wood can be damaged and injuries are more prevalent. Give yourself the best chance of completing a successful project by purchasing the right woodworking tools. Hopefully, you now understand why heartwood is darker than sapwood. All wood begins as sapwood and it is found on the outer ring of a tree. Then, as it ages, the wood turns into the heartwood. This aged wood loses all transportation function but becomes hard and stable for the tree. Once you have a thorough understanding of this process, it is easier for you to know which wood is best for your projects. For a hard, durable and stable turnout, you’ll want to opt for heartwood over sapwood. Otherwise, your project may not turn out to be as high-quality as you desire. We hope this helps you to choose your wood wisely. After all, materials are an important part of the final outcome.